Apple Inc.’s (AAPL.O) iPhone inventory buildup may lead to lower guidance for the current quarter and subsequent downward revisions to analyst estimates, Sanford C. Bernstein & Co analyst Toni Sacconaghi wrote in a note to clients. Sacconaghi’s analysis suggests that inventory of up to 5 million units and a big drawdown in the second quarter could pressure estimates. 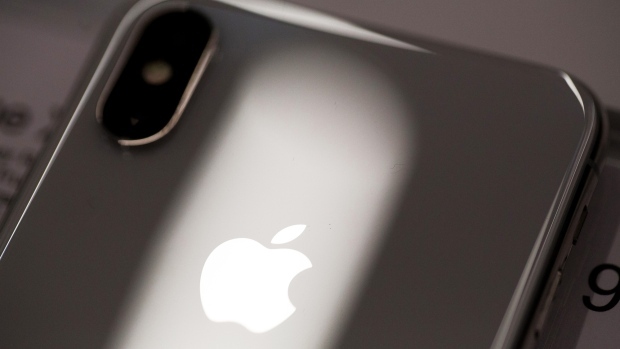 Analyst consensus for US$59 billion in second-quarter revenue appears "appropriately conservative," but the big question is how much iPhone inventory Apple built up, he said. 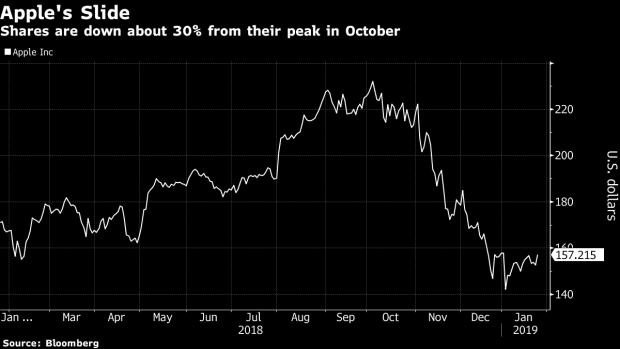 There is a possibility that second-quarter and fiscal year estimates "may be too high," said Sacconaghi, who rates Apple at the equivalent of hold, adding that Apple shares have historically underperformed until estimates stopped declining. In a separate earnings preview Friday, Morgan Stanley analyst Katy Huberty said Apple shares already appear to be pricing in “unlikely long-term iPhone scenarios.” And a note from Rosenblatt Securities said price cuts look to be helping sales of the iPhone XR in China. With shares rising today, Apple’s decline since lowering its sales outlook on Jan. 2 has shrunk to less than 1 per cent. Final results for its fiscal first quarter are to be released Jan. 29 after the market close.